n a very quiet location, at the edge of the small village of Paradela, these two typical windmills have been fully recovered and are available for vacation rentals. Since the windmills are identical, description applies to both of them. 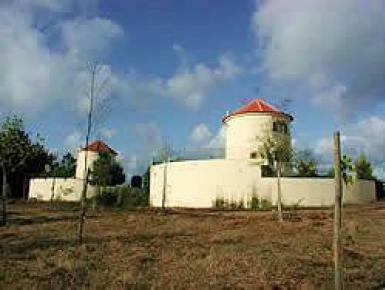 Each property is a recovered windmill, fully restored to accommodate 6 to 8 persons. It is located in a quiet village, only 6 km from the beach of Apúlia and 12 km from Póvoa de Varzim. Mini-market can be found in 1,5 Km, horse riding in 6 Km and 9-holes golf course in approx. 10 Km. This cozy windmill with 132 m² living area has 3 bedrooms (2 of them with en suite shower rooms, in the first and second floors, with external stairs), one bathroom, one entrance hall with fireplace, one living and dining room with sofa bed and a fully equipped open kitchen (wash machine and dishwasher included). It is also equipped with satellite TV and central heating.